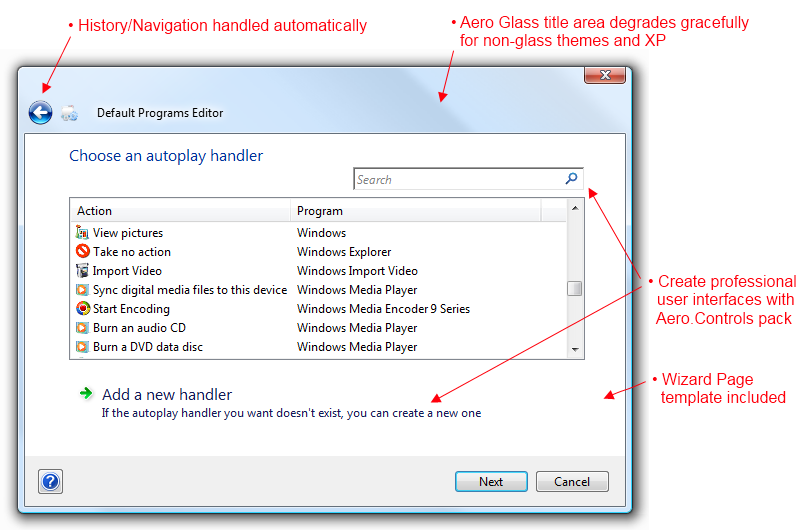 An implementation of an Aero Wizard Dialog in Windows Forms. This project is BSD-licensed open source. The source code, a Wizard Page template, and an example project are hosted on BitBucket. Any issues with the code as well as suggestions, bugs, and patches can be discussed on the repository page.